Blocked drains in London unblocked for a fixed price 0791 7852384 Chris. Blocked drains London we are a two man business not a large national drainage company and we unblock drains in London for a set price,so our customers can rest easy and not worry what the final bill will be as we have already told them the price over the phone when booking us for our drain unblocking service. 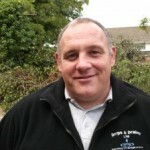 As well as the fixed price we believe we offer a great professional service due to our years of experience of unblocking drains Alf has over 35 years experience and Chris over 28 years experience and we are both plumbers as well. For blocked drains in London we have the experience assisted by various drain clearance tools including high pressure water jetting unit mounted in the back of our vans and a drain cctv survey unit and electric sani snake/eel which feeds a wire into smaller pipes which is connected to a drill that feed the wire in,this is very effective for blocked kitchen sinks and blocked baths/showers. We also clear blocked toilets as well as blocked drains in London for a fixed price, and we carry out drain cctv surveys and patch lining repairs to drains which is a non excavation repair system. I nearly forgot to say how much we both enjoy our job and the great satisfaction we get when we have cleared a drain and the customers is happy with our service,which makes you feel great and we know they would use us again if ever required. Please feel free to phone us and discuss any drainage problems you have,and we will endevour to find a solution to you problems. So if you have blocked drains in London please call Chris 0791 7852384. Thank you for reading my details.